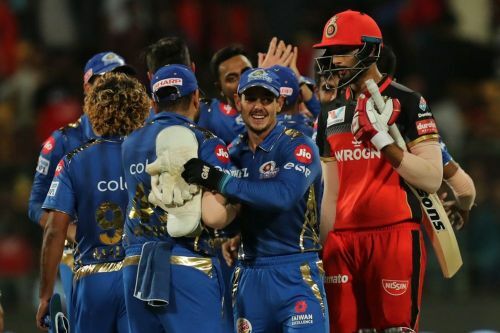 The Royal Challengers Bangalore's IPL campaign seemingly came to an end after their sventh loss of this season, to Mumbai Indians. They have to win all their remaining games if they want to stand a chance of qualifying for the playoffs and knowing Virat Kohli, he's not one to give up when there's a route out. But determination from his part is not going to help the side as the team has to make the right decision and get their strategy spot on. Frankly speaking, Gary Kirsten hasn't been at his best in this season. RCB face Kolkata Knight Riders next on April 19th, Friday and the team needs to get their selection spot on if they want to pose a challenge to the Kolkata Knight Riders. On that note, here are 3 changes which RCB need to make to their playing XI if they want to win their next game. RCB's middle order have hardly contributed anything up till now and if it weren't for some resistance from Moeen Ali, RCB would have crumbled yet again with their weak middle order. Akshdeep Nath was one of RCB's pricey buys at the auction and the youngster has failed to deliver despite being given quite a lot of opportunities. He has managed to score only 21 runs from 5 matches and has done nothing with the ball. This calls for a change and RCB's most expensive buy, Shivam Dube must be trusted to deliver the goods for RCB. He has got only three opportunities to play and is bound to deliver if the skipper places some trust on him as the Eden Gardens is a great surface to bat on. Dubey is a big-hitter and if he finds some form, he can smash sixes for the livelong day. Dubey brings a lot of strength and is an x-factor player who's too good to keep on the bench. When a player like Mohammed Siraj who has misfired in every single game is backed by Kohli, Dubey deserves some support too. 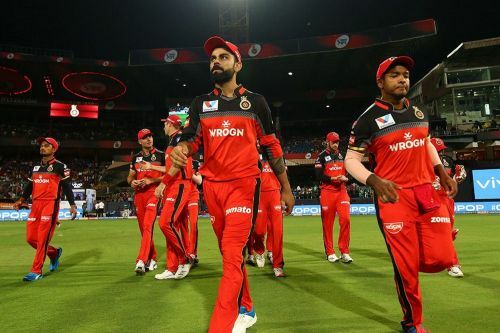 IPL 2019, Match 17, RCB vs KKR: Match Prediction - Who will win today's match?